Emotional Freedom Techniques (EFT) is a form of psychological acupressure, based on the same energy meridians used in traditional acupuncture to treat physical and emotional ailments for over five thousand years, but without the invasiveness of needles. Instead, simple tapping with the fingertips is used to input kinetic energy onto specific meridians on the head, chest and paws while focusing on a specific problem of the animal - whether it is a traumatic event, stress related habits self destructive tendencies, pain, etc. 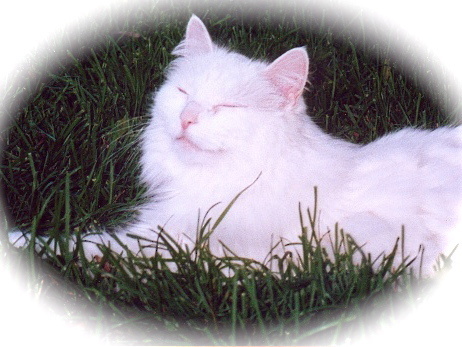 This combination of tapping the energy meridians and voicing positive reinforcement works to clear the "short-circuit" - the emotional block -- from your pet's bioenergy system. EFT restores balance to your pet’s mind and body, while minimizing the influence negative emotional states play in the physical healing process. This modality is used with animals suffering from emotional issues and those with physical ailments that are suspected to be related to an emotional challenge. It can be done with a surrogate for animals that are shy of touch.